Description: I visited this church as part of my photo project for a multimedia program called, ""Bach in Weissenfels." When I visited this Schlosskirche on a Sunday in July 2004, I learned that this is a Lutheran church where worship services are held every Sunday. 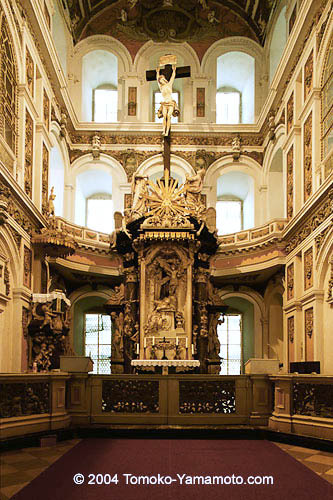 You can visit the church to view the inside by asking at the museum inside the Schloss Neu-Augustusburg (castle). At the time, they were doing some renovation construction work arround the church on the Schloss building there.